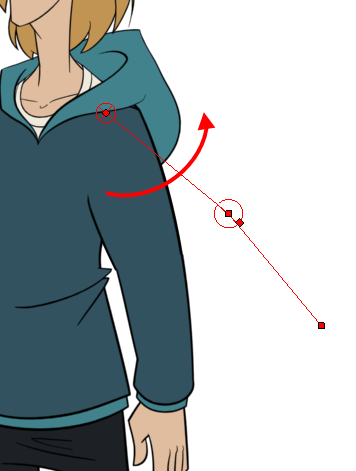 Once you have a deformation chain created, you can optimize its positioning to fit the element it will deform. A deformation rig has a resting position and an animated position. The resting position is the original pose the character is in when not animated with keyframes. 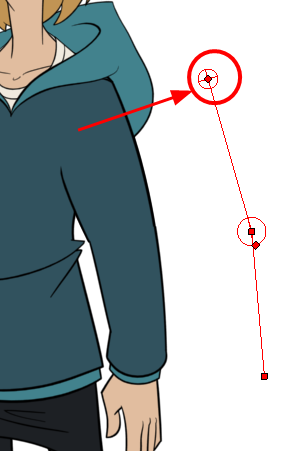 You can always revert your animated character to its resting position to recover the initial scale, angle, and shape. 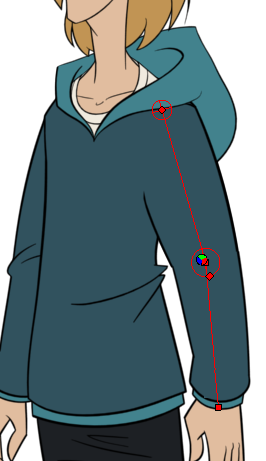 You can revert the entire character or only certain deformation chains, such as the arm or leg. Just make sure your resting position is fully set before deploying the character in production. You can also set additional parameters in the Layer Properties window—see Deformation Nodes. ‣ Rotate the first bone to change the angle of the chain. ‣ Use the root control to reposition (offset) the entire chain. 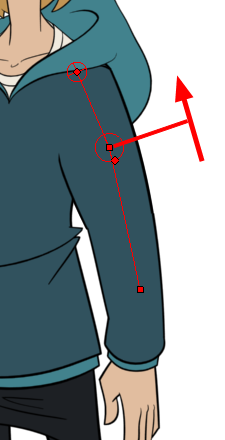 ‣ Use the control points to reposition the articulations. This will elongate, shorten or change the direction of the bone and offset the subsequent children. 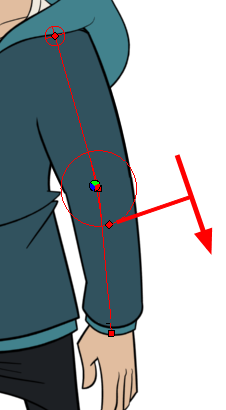 ‣ Use the articulation's control (square) to change the size of the articulation. For quality purposes, it is recommended to have an articulation which fits the diameter of the part it controls. If you need to insert a bone between existing ones, hold down the Alt key. When the Insert Bone cursor is displayed, click on the existing bone segment at the location where you want to add an additional bone.